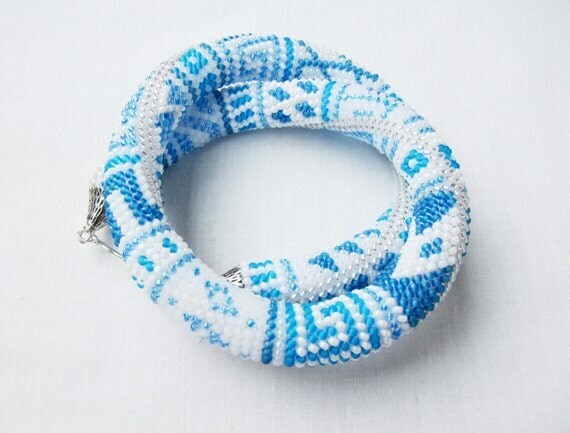 White blue Beaded crochet necklace made of Japanese seed beads. 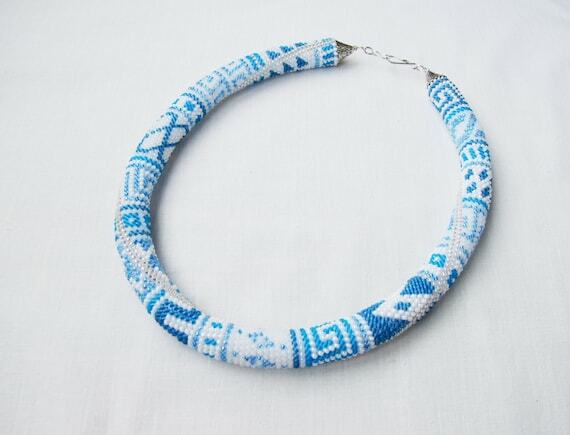 In the necklace is patterns Greek meanders. Long Beaded Crochet Rope Necklace "Safari"